Espan Lava Pavilion on Southern Esplanadi is used as a stage for music and theater or hosts art installations during summer. The rest of the year it is normally closed. But a few days ago Café Köket opened its doors there. 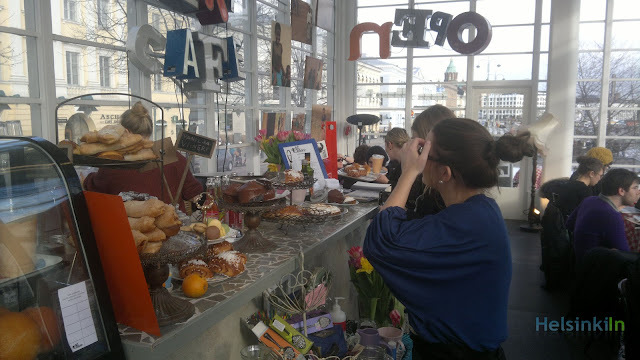 The pop-up café will be there till April 10th. 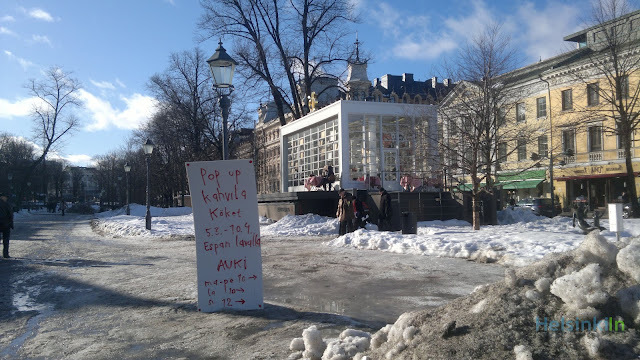 After April 10th Café Köket will move to its normal location a few meters down the street to a tent next to Kauppatori. 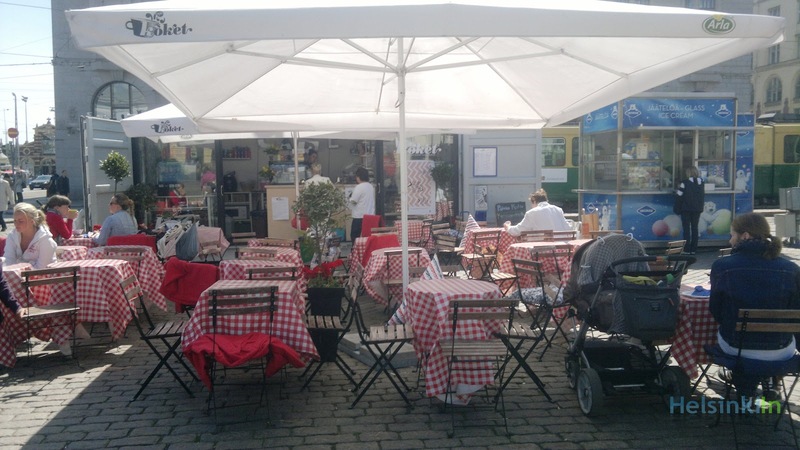 UPDATE: Café Köket is now back at it's ususal location on Esplanadi a few meters down from Espan Lava.